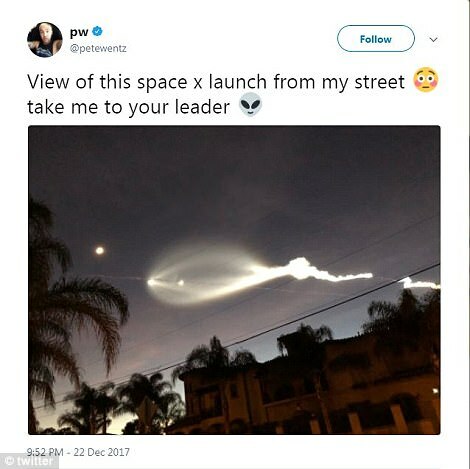 The streak of white light would create what turned out to be a fish-shaped pattern, prompting locals to speculate on social media as to what it was. 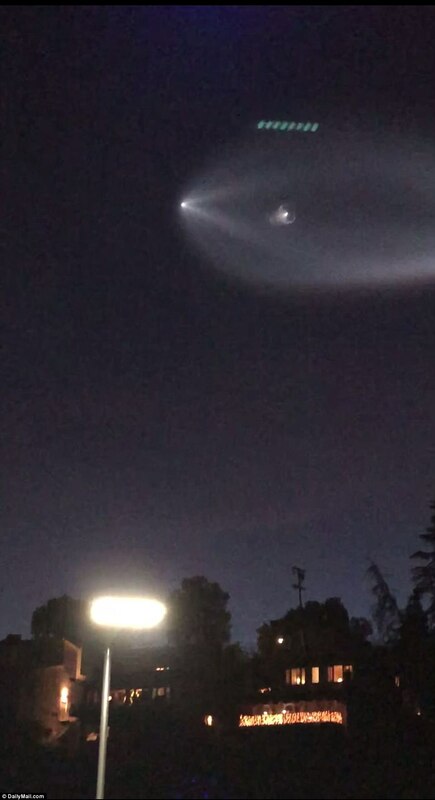 Local television stations as well as law enforcement agencies received a number of telephone calls from amazed witnesses who were eventually told that what they saw was a rocket launch from Vandenberg Air Force Base in central California. One news report said that at least 130 people in just one part of Los Angeles County called 911 on Friday evening. 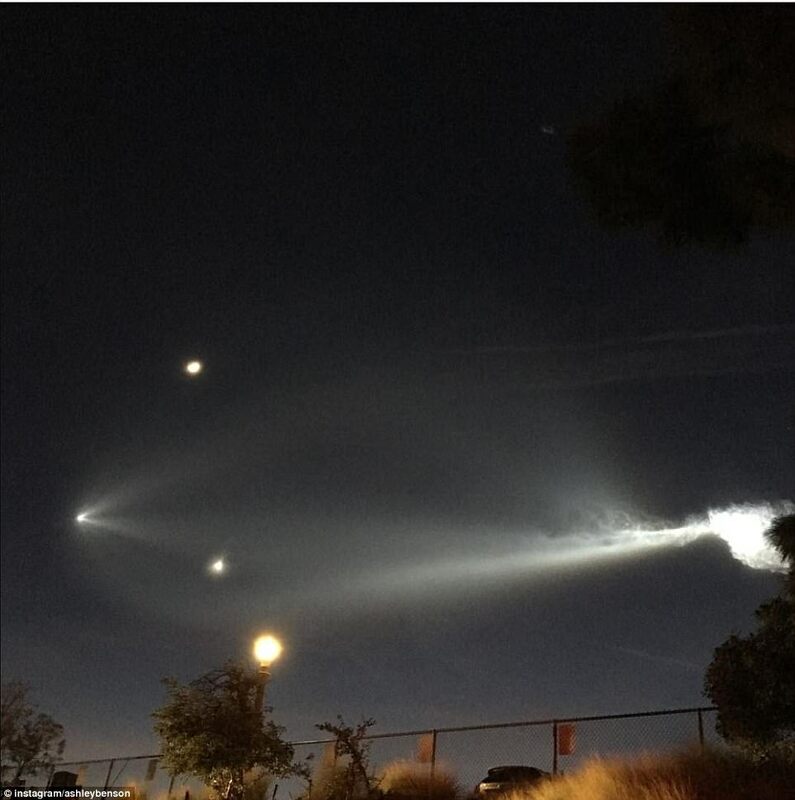 The launch in the setting sun created a shining streak that was widely seen throughout Southern California and prompted puzzlement and even concern. Cars pulled over on freeways so drivers could take pictures. 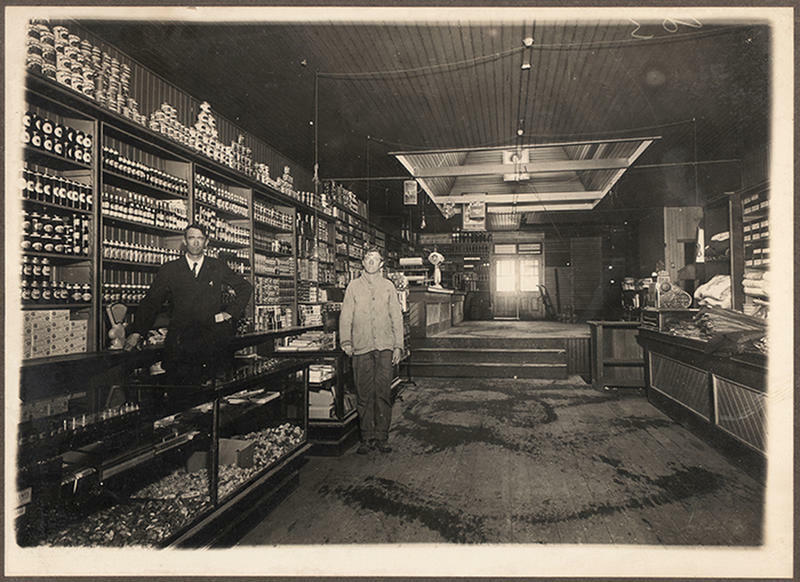 Initially, some people thought it may have been a UFO or the prelude to an alien invasion. There was also talk of a possible nuclear strike by North Korea. 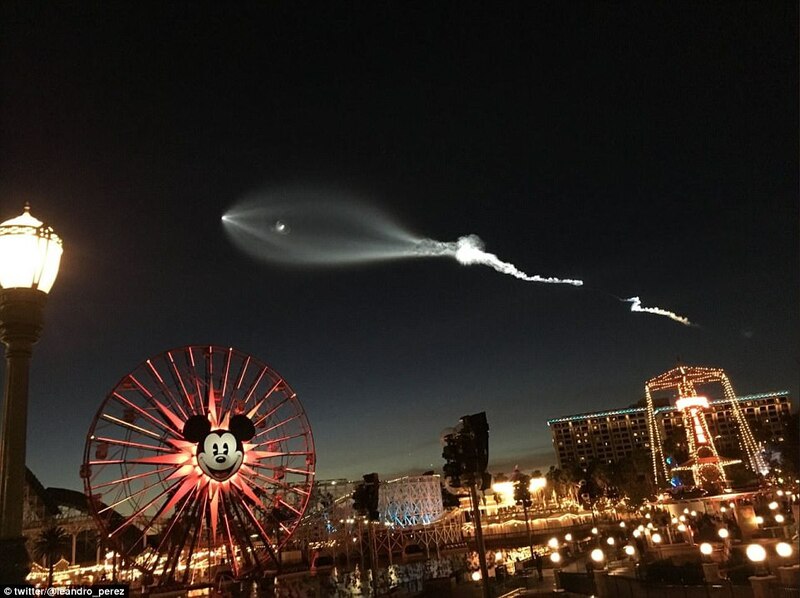 Footage of the rocket launch was captured by a viewer of KTLA-TV. 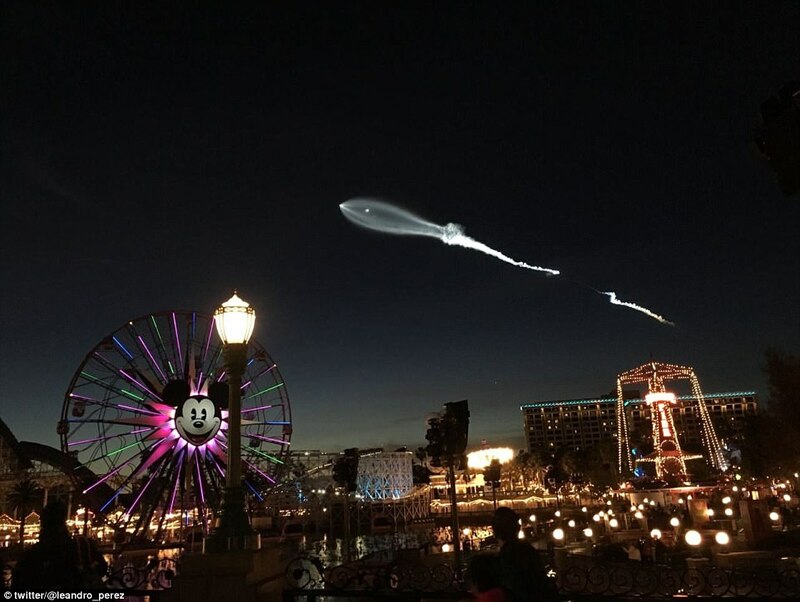 'What the heck is this weird jellyfish thing going across the sky right now!?!' tweeted actress Jenna Fischer of The Office fame. 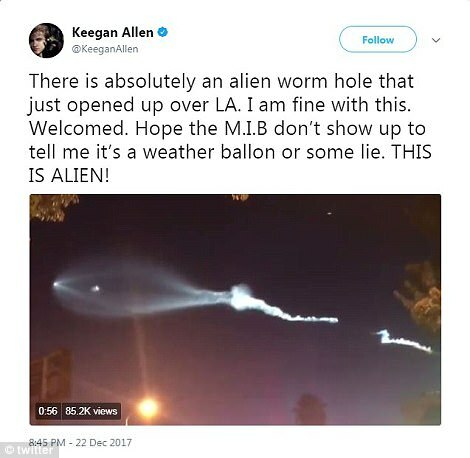 Twitter users were having a ball with the sighting. 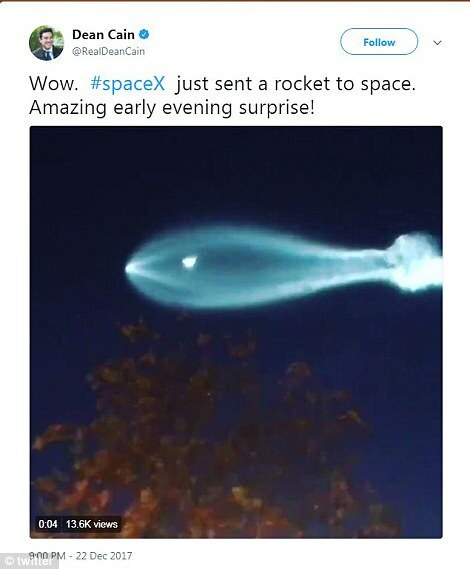 '#SpaceX gotta give a better Public notice... 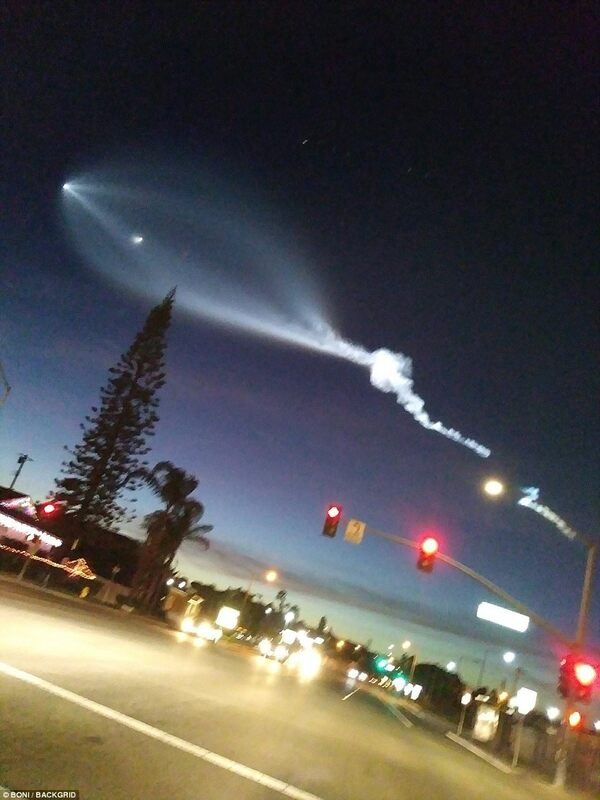 I aint know if this was a Rocket, aliens, Santa Claus, or North Korea,' tweeted one user. 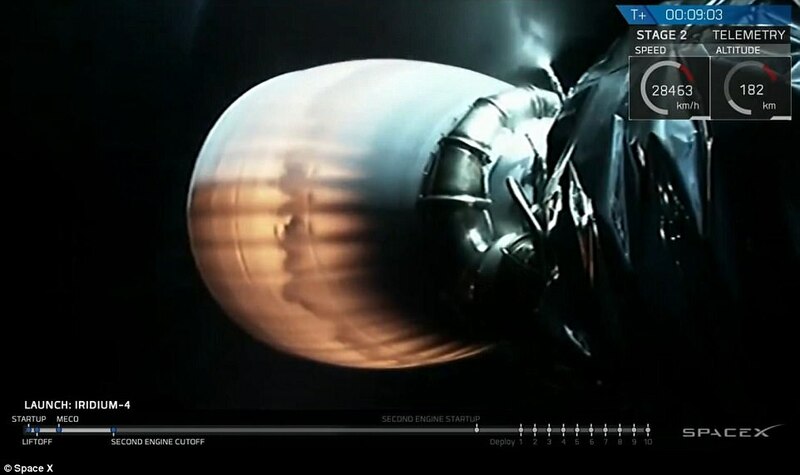 The reused SpaceX rocket that was launched on Friday carried 10 satellites into space from California. 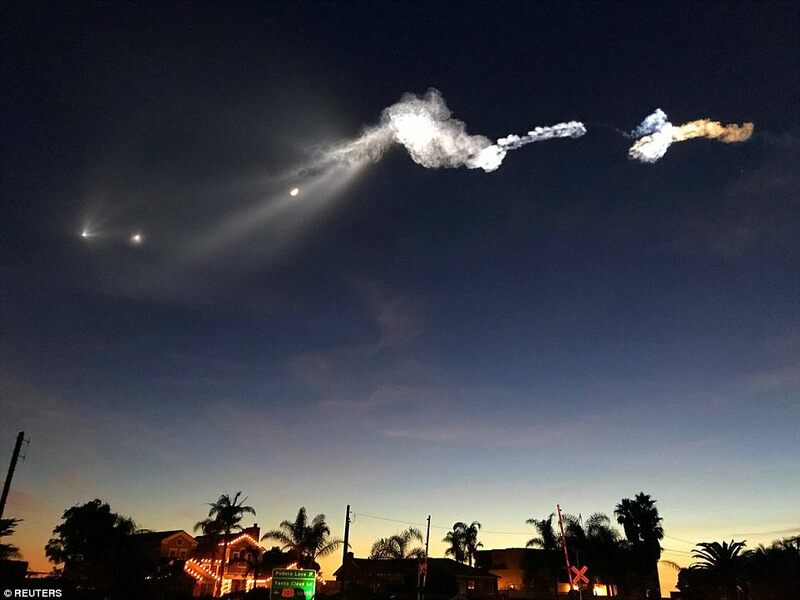 The Falcon 9 booster lifted off from coastal Vandenberg Air Force Base shortly before 5:30 p.m. Friday. 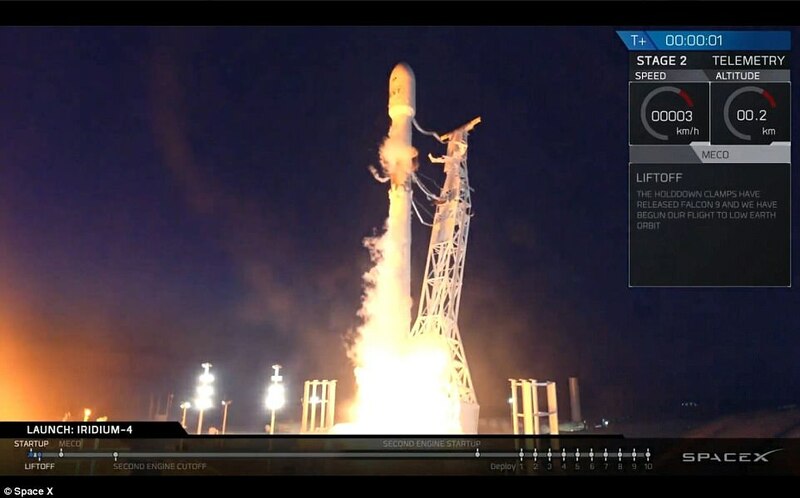 It carried the latest batch of satellites for Iridium Communications. 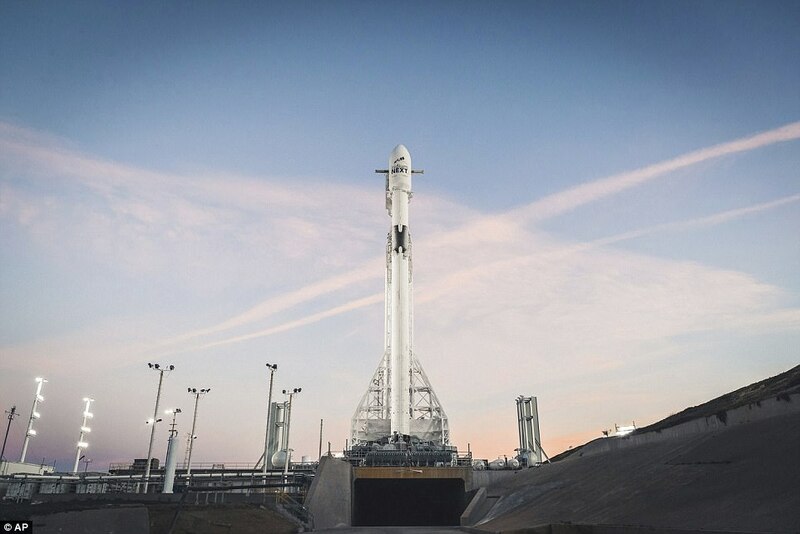 The same booster carried Iridium satellites into orbit in June. That time, it landed on a platform in the Pacific. This time, the rocket plunged into the sea. It's the final launch of 2017 for SpaceX, which has contracted to replace Iridium's system with 75 new satellites. 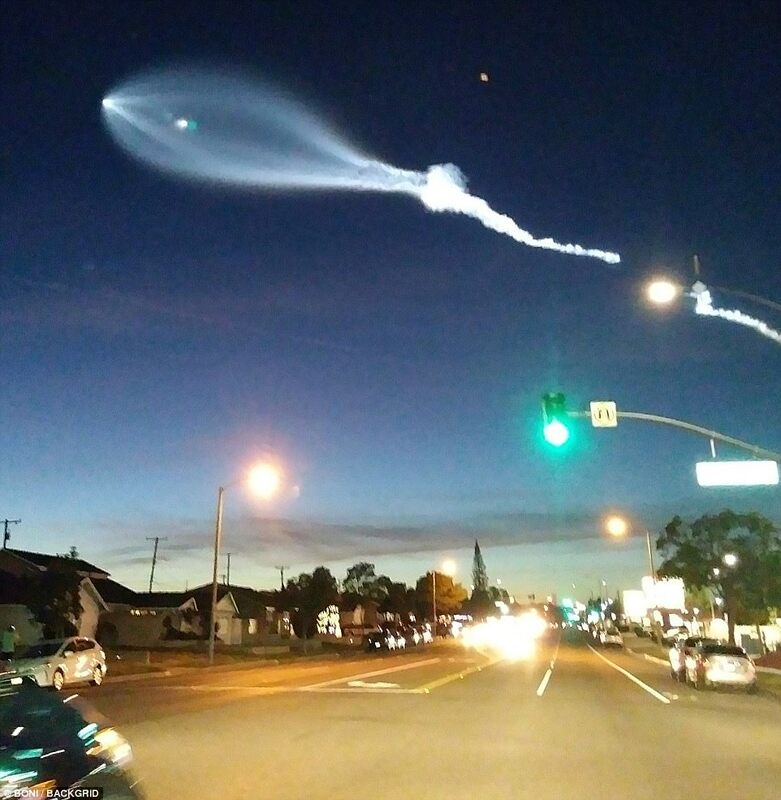 The Los Angeles Fire Department issued an advisory that the 'mysterious light in the sky' was from the rocket launch. That time, the first stage landed on a floating platform in the Pacific Ocean. 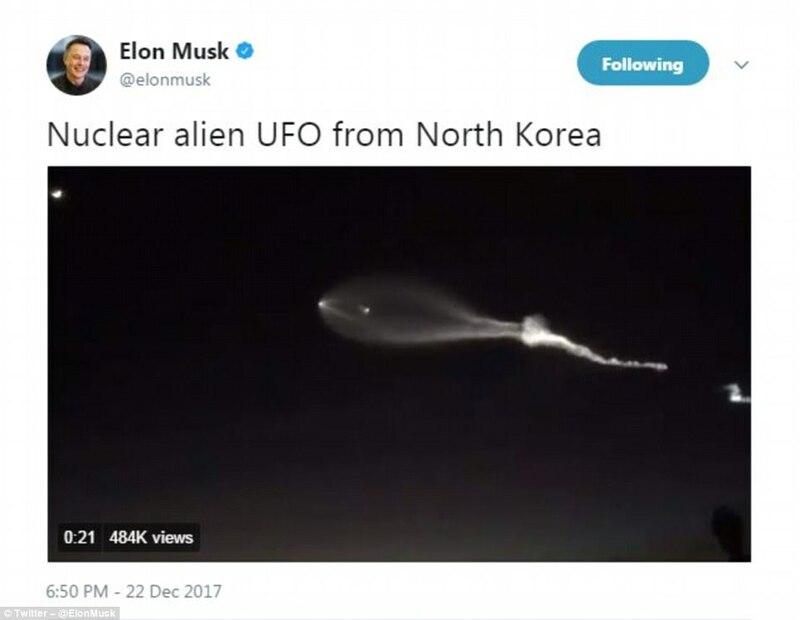 This time, the rocket was allowed to plunge into the sea. 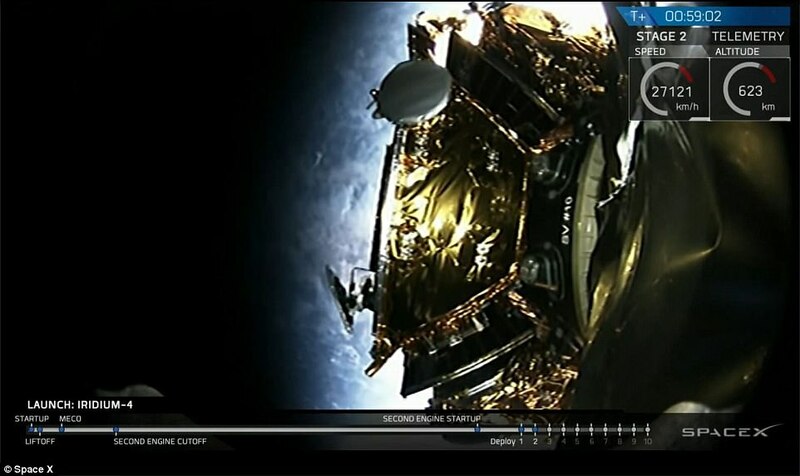 It was the 18th and final launch of 2017 for SpaceX, which has contracted to replace Iridium's system with 75 updated satellites. SpaceX has made four launches and expects to make several more to complete the job by mid-2018. Earlier this week, Musk revealed the giant rocket he hopes will take man to the moon and Mars. Musk also tweeted an incredible image of people next to a landed rocket to give an idea of the scale of themachines.